Ensure the security of your motorcycle, bicycle or gardening equipment with a wall or ground anchor from the Lock Shop Warehouse. Our wall and ground anchor range includes high quality designs by some of the biggest security brands, including ABUS and PJB. Sold Secure Approved A good quality Abus chain and padlock set is only as good as the anchor point to which it is secured. The WBA75 is permanently secured with quality fixings. The Anchor Plus Evolution from Luma's Solido range is both stylish and modern with a very heavy duty hardened steel construction. Sold Secure Approved so very high security. Folds flat when not in use so can be driven over without damage. ABUS floor or wall anchor, high security. Sold secure GOLD ground anchor. 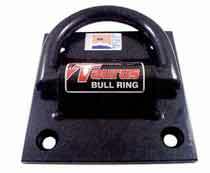 Brilliantly designed with no weak points, large base fixing bolt and foldable hasp.